What are the top landmarks in Machynlleth? 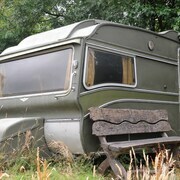 Affording magnificent views of the Snowdonia National Park, the Centre for Alternative Technology (CAT) has for nearly half a century now occupied a seven-acre site in a former slate quarry close to Machynlleth. Easily reached by car or bus, and naturally offering free charging for electric vehicles, a visit here may be among the most rewarding and inspiring you could hope to take in Wales. Note also that the name is a little misleading now, as the centre has switched from focusing purely on alternative technologies to all forms of sustainable living. Barmouth, on the edge of the dramatically beautiful Mawddach Estuary, has one of the most stunning beaches along the coast of Snowdonia, and is a candidate for one of the most beautiful beaches in Britain. Harlech Castle is a stunning medieval fort rising high above Snowdonia National Park and listed by UNESCO as one of Wales' six World Heritage Sites. The castle has had a prominent role in many of the definitive moments in British history and is an unmissable stop on any tour of North Wales. Commune with nature and explore the great outdoors at Elan Valley during your travels in Rhayader. You can enjoy the bars while in the area. The Llechwedd Slate Caverns are situated near the historic slate mining town of Blaenau Ffestiniog in Gwynedd, north-west Wales. It’s an interactive museum-meets-adventure haven that will appeal to all ages. As well as the world-renowned Victorian mine, there are also biking tracks, zip lines and a subterranean playground to explore. Commune with nature and explore the great outdoors at Cader Idris Mountain during your travels in Dolgellau. Wander the seaside or discover the mountain views in this quaint area. 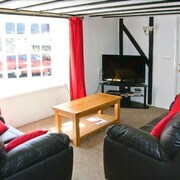 Excellent views, spacious and very relaxing. Very friendly staff. Known unofficially as the “Ancient Capital of Wales”, the small town of Machynlleth makes a relaxing rural Welsh retreat. Situated in the plunging greenery of the Dyfi Valley, the town is also on the southern edge of the Snowdonia National Park and just a short drive from the wonderful Welsh coastline. Machynlleth’s beautiful and varied surrounds are just one of the reasons why booking a hotel or bed and breakfast here should be one of your top choices if you’re visiting Wales. Once you discover its wonderful range of festivals, golf courses and outdoor sports, you’ll soon understand why this small town is such a thriving hub in the Powys countryside. 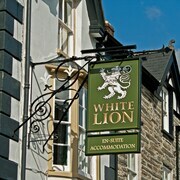 Small in number but big in personality, the hotels in Machynlleth are dotted about the Newtown Road close to the town centre. If you want absolute radio silence, you could also find a hotel a little further afield. The hotels in Machynlleth are perfect if you’re looking to improve your handicap on the golf course as you’ll find several nearby. 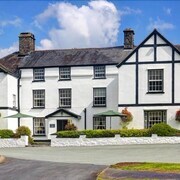 After a day of hiking or mountain biking in Snowdonia National Park, enjoy all the comforts and luxury you deserve with a quiet drink in a hotel overlooking the tranquil River Dyfi. 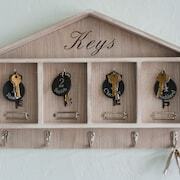 Plant your head on a pillow in a converted 18th Century country house or find a modern bungalow at the edge of town. 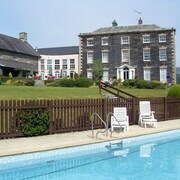 Whatever you’re seeking, the bed and breakfasts in Machynlleth cater to a range of flavours and budgets. Dig into a full Welsh breakfast, made by your welcoming bed and breakfast hosts from fresh local produce, while you watch over the imposing mountains of the National Park. 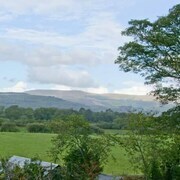 A bed and breakfast in Machynlleth is a great way to experience living like one of the locals, before heading out hiking in the mountains or driving to Cardigan Bay for a spot of windsurfing. Self-catering accommodation is abundant in Wales and it gives nature enthusiasts the freedom to come and go as they please. 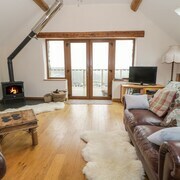 Machynlleth is no exception, offering a range of wonderful self-catering cottages, country houses and converted farm buildings. Whether you’re after a self-catering apartment with all the modern conveniences or something a little more rustic, you’ll have no problem finding it nearby. Wherever you stay, you’ll be treated to fantastic views over the rugged hilly landscapes of the Dyfi Valley. Machynlleth is an environmentally friendly town and has one of the UK’s largest wind farms. 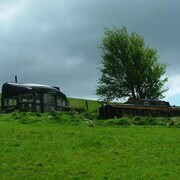 It is also home to the Centre for Alternative Technology, which seeks sustainable alternatives to current technologies. The visiting green enthusiast will be pleased to find that there is an award-winning green backpackers’ hostel close to Machynlleth. Set in lush landscape, this hostel has an exclusively environmental focus. Pay a visit to some of the most unspoiled Welsh countryside. 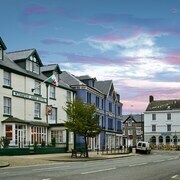 Search online and find the ideal hotel, hostel or bed and breakfast in the charming town of Machynlleth today. Explore Machynlleth with Expedia's Travel Guides to find the best flights, cars, holiday packages and more!